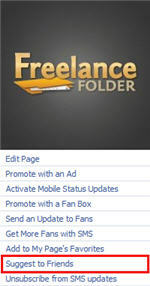 If you are a regular Freelance Folder reader, then you already know we recently created a Facebook fan page for Freelance Folder. Our fan page has been live since October 6th, 2009 — and on November 10th, about 35 days later, we reached the one thousand fan milestone. In this post we’ll show you how we did it (and how you can do it too). Before I share some of the things we did to grow the fan page at such a rapid pace, the FreelanceFolder team would like to thank all of our readers for your support. The biggest reason for our success on Facebook is your interest and participation, and we definitely couldn’t have done it without you — Thanks! Okay, let’s start with a quick guide to creating fan pages for anyone who doesn’t already know how, and then we’ll move on to some of the more growth-oriented stuff. Choose the category that suits your business the most and follow the instructions. Creating a fan page on Facebook doesn’t take more than two minutes, but building it and creating a thriving community within that page can take months. 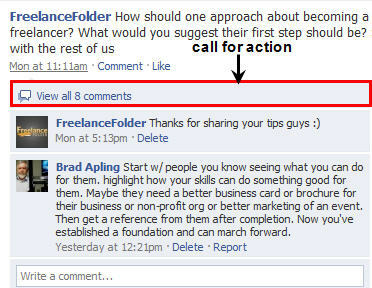 Now that your Facebook page is ready to roll, it’s time to give it a little push. The first thing you want to do to grow your fan page is utilize close friends on Facebook. I am not talking about online acquaintances, I am talking about people you probably have met or have interacted with on Facebook quite a few times. Let your close friends know that you have created a fan page. Ask them to be a fan. It’s almost guaranteed that they will become a fan without hesitating. This step really depends on how many of your close contacts use Facebook. The more the merrier. At this point, do not use the Suggest to Friends feature to contact random connections. Save the first few days for the close-knit group and then extend invites to a larger group. If you have a few hundred friends, do not send out invites all at once. You don’t want a spike of fans one day and be dead in the water the next day. My approach to sending out invites for our fan page was to choose a set of first letters each day and only send out invites to those people. For example, the first day I sent out invites to people whose name begin with the letters A, B and C and the second day I sent out invites to people whose name begin with the letters D, E, F and G and so on and so forth. This way you don’t end up getting fifty fans one day and nothing the rest of the days. The Suggest to Friends feature is on the left right under your fan page profile picture. Make sure to spread out your invites. You want your fan page to grow faster, but you don’t want it to spike and die off suddenly. Send out a few invites each day for a couple of days to keep new fans coming to the page. I know that many freelancers are on a shoestring budget, but if you can spare $5.00 to $20.00 I highly recommend running an ad campaign. Facebook allows you to target your ads and gives you the option to pinpoint who sees the ad. 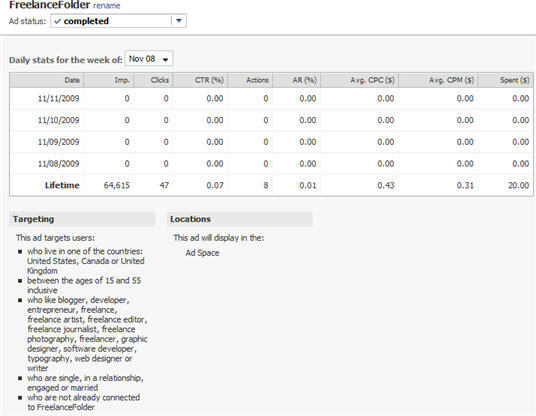 You can target ads based on age, gender, location, profession, etc. You can either pay for impressions or for clicks. I usually go with impressions because my main goal is to get the page seen by as many people as possible. Even if they don’t click and sign up when they see the ad, there is a possibility that they might come back later. It’s just one of the ways to take your dollar further. Now that you are done asking for help from your close group of friends and sending out invites, it’s time to kick it into high gear. 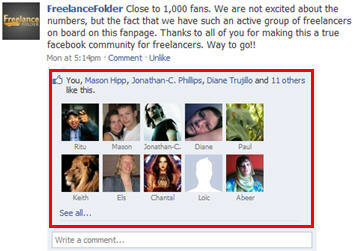 When we launched the FreelanceFolder fan page we didn’t announce it on the site for a couple days. We knew once we announced it, we would get a lot of freelancers signing up. Although we wanted to grow fast, we wanted it to be a gradual growth and already have some kind of community active on the fan page. 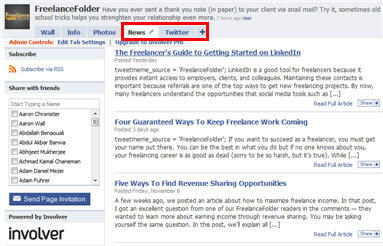 Once you have some activity going, talk about your fan page on your blog or your site. 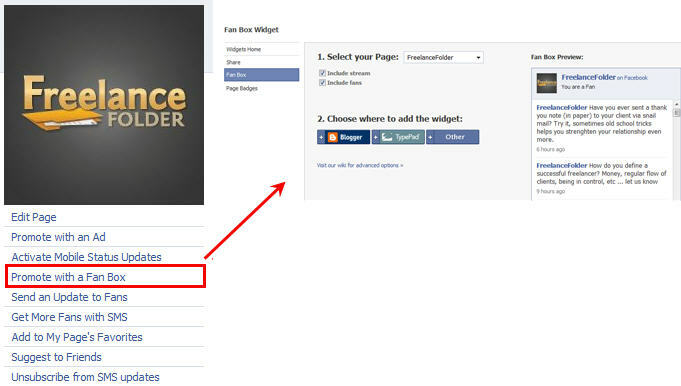 Grab a fan page box (like we have in the sidebar) and embed it on your blog. Anyone who missed your announcement post about the fan page can still see that you have a community rolling on one of the hottest social media platforms. After you are done implementing the above tips, the main thing is to engage your fans. You can only ask so many people to become a fan. After a certain point, people need to come to your fan page organically. They need to find you without you having to call them. Above all, make sure your fans are interacting. There is no point in having a fan page with thousands of fans where no one really interacts. So let’s see some of the ways to pull in people without really having to ask them to become fans. If you are a popular celebrity or a big brand, you won’t have a hard time getting your fans to engage on the fan page. As freelancers, though, we often lack that sort of popularity. It is necessary to take measures to make sure there is interaction. The key of having a fan page is to create a thriving community on a different platform other than your blog. Once again, the more platforms you can utilize, the better. You will often see fan pages that have huge number of fans, but they often lack participation. Numbers alone won’t do the magic. We need people behind those numbers that are willing to engage and interact on your fan page with you and the rest of the fans. One of the best ways to “call for action” through your updates is by asking a question. If you look at our fan page, we ask a lot of questions. We do this not just for the sake of asking, but because we value what our fans and friends think. People love to voice their opinion and share their expertise. Make sure your updates ask them to do that. Simply linking to each article you publish on your blog won’t help you much as far as growing your fan page goes. Also when you update, make sure you are asking your fans to do something. Make them feel they are an important part of your Facebook community. The reason I say you want as much engagement as possible from your fans is because you want them to take action. That action can be either clicking the Like button or commenting on your update. Now that we have explained how to use Facebook features to promote your fan page we will examine the use of third party apps. If you look at our fan page, you will notice two tabs at the top that are not default tabs for fan pages — News and Twitter. If you click on the News tab you will see our recent posts. If you click on the Twitter tab you will see our Twitter updates. In essence, these apps allow us to make our fan page a single stop information source for our fans (you can find these apps at involver.com for free). Our fans can quickly check our Facebook updates, see what’s new on our blog, and even see what we are tweeting. If you are good with HTML, the possibilities are endless. For example, you could create a custom welcome page so that anyone who is not a fan yet will land on the custom page rather than the wall. 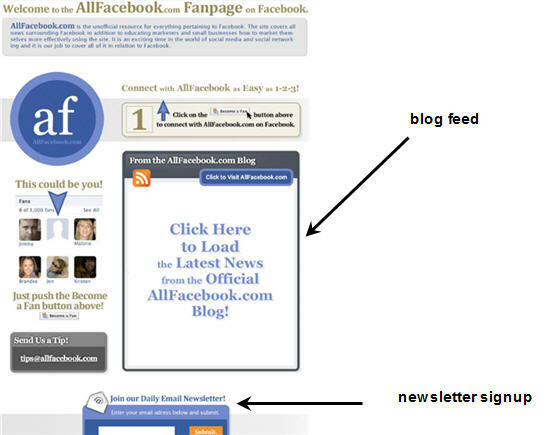 Following the steps outlined above will definitely help you attract more fans. However, do keep in mind that numbers alone don’t mean a thing. Your fan page can have 50,000 people, but if they are not interacting it’s not really a community. Without an active community, neither you nor your fans will get any benefit out of your fan pages. There are many other ways to utilize the fan page to gain more fans and make it an active community, but we will cover those when we hit the next milestone 🙂 . We’ve given a quick guide to creating a fan page and we’ve show you how to build a community around your fan page. If you have any questions please feel free to ask. 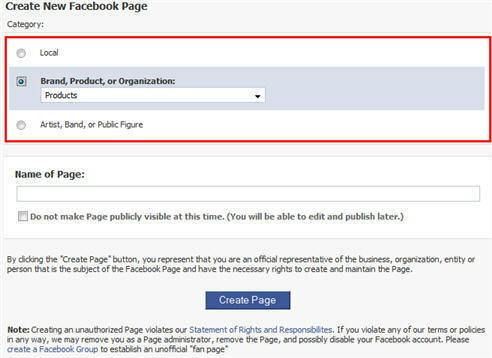 Also, do share your personal experience regarding Facebook fan pages.